I started by pinning paperclips into parts of the model. 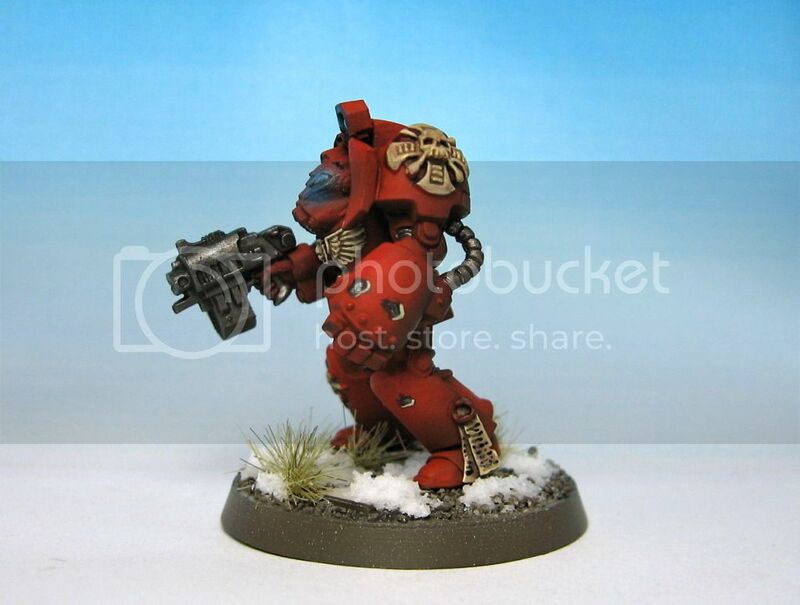 The model itself is an Assault on Black Reach terminator. 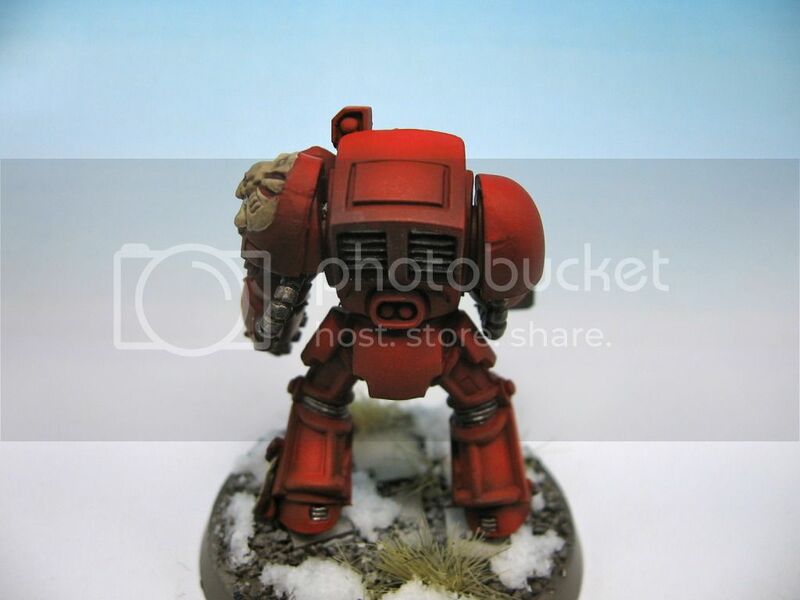 I decided to paint it in a red colour scheme. 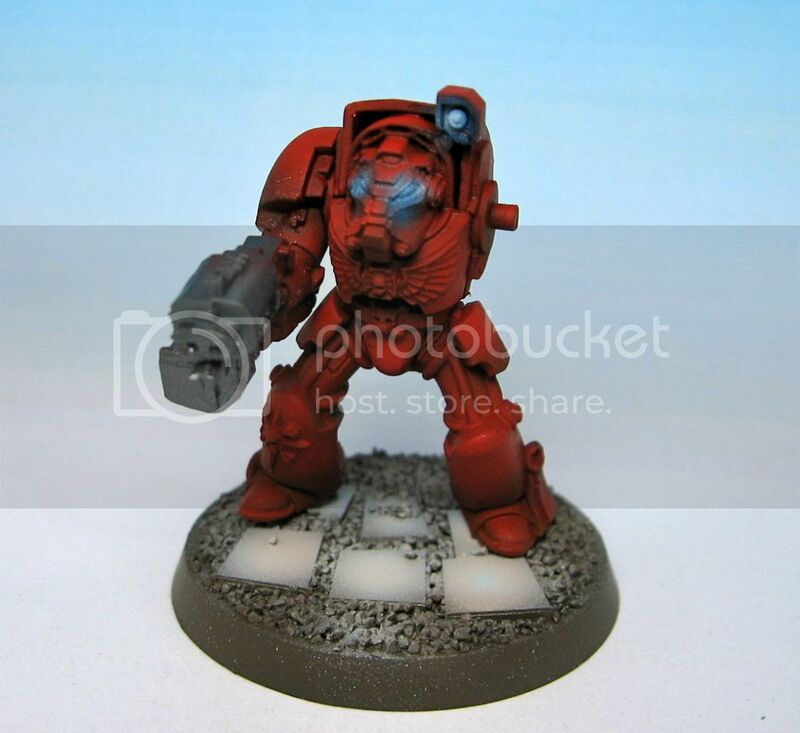 I don't think Blood Angels can have terminators though...? I also made a really simple base with some plasticard and ballast. 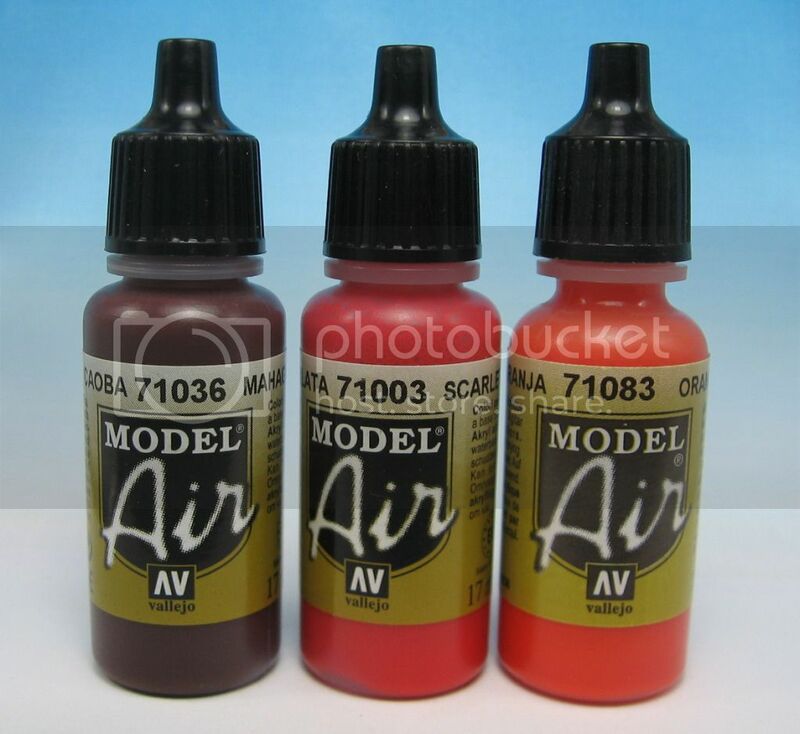 I then airbrushed the body using scarlet red as a base and then adding shadows with mahogany and highlights with orange. After airbrushing I was at this stage. 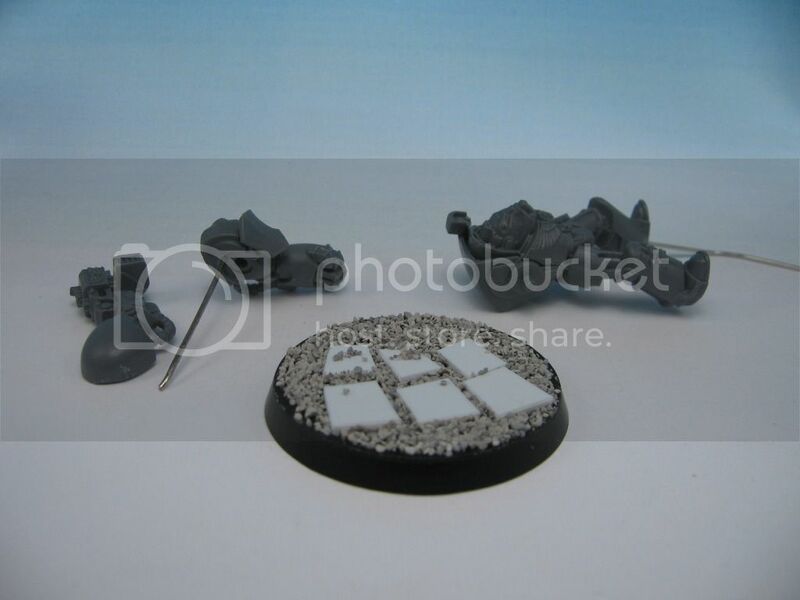 I airbrushed the base with Dark Earth and the airbrushed layers of grey and white to highlight to flagstones. I did a light airbrush over the gravel to highlight it. I painted half of the gun with the airbrush, but stopped as it was over spraying a bit and making a mess. I painted the eye and gem glow with the following colours airbrushed in order. I am not totally happy with the effect in such a tiny area. I wasn't too worried about this model and wanted to try it anyways. Finally I painted details in VMA gun, Bleached Bone, and washed with Devlan Mud and did some highlights. I added Army Painter winter grass and some snow effects. I also added a tiny bit of battle damage to cover some areas where the metal made a mess. The final model took me two hours and 20 minutes. A lot of that time was spent trying to deal with issues with the initial coat of Scarlet Red. You can really see the airbrushed blending in some of the pictures. 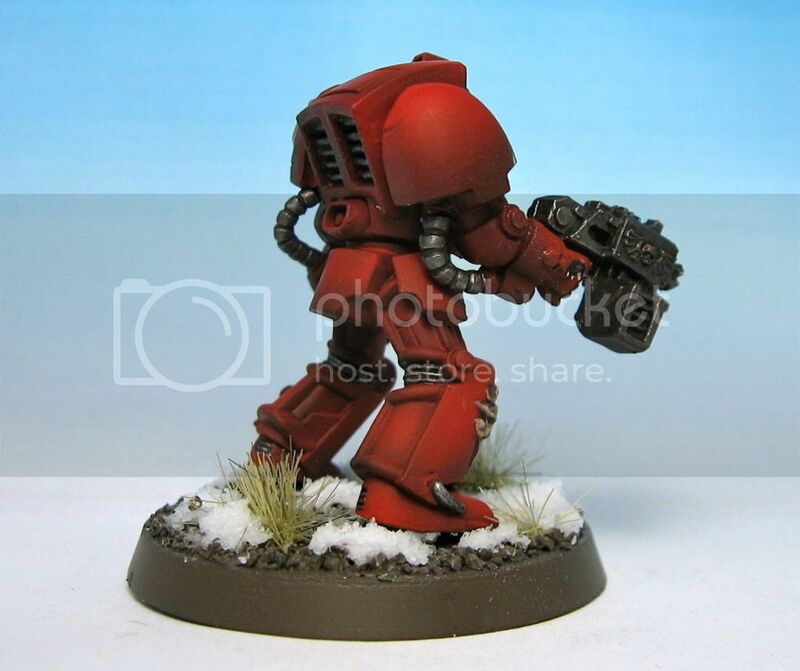 Getting blends like this would take a long time by hand but I could probably do the armour for a squad in an hour with this technique. I just realized this model is totally stock! I think this is the first unconverted model I have painted in years. 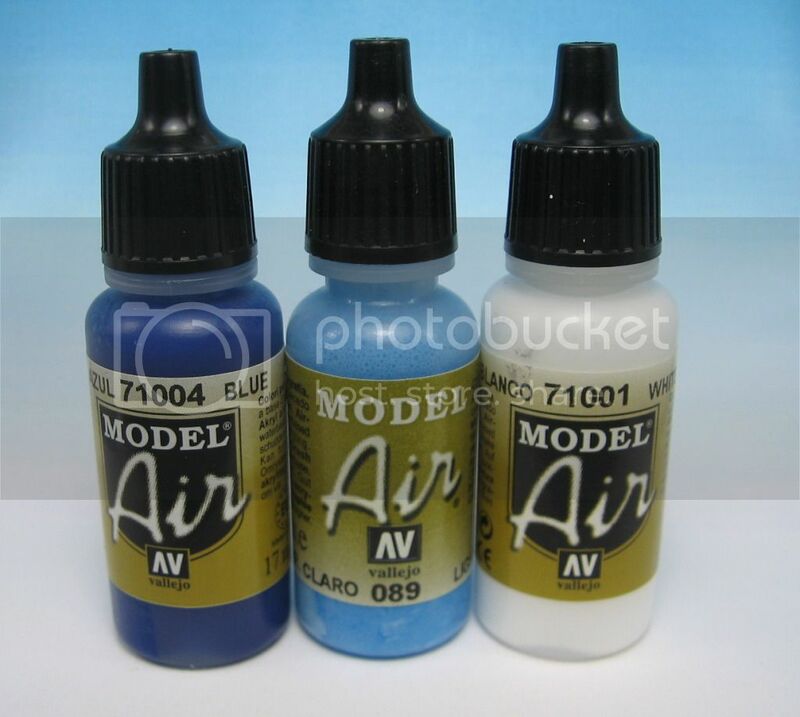 I will be doing more of these in the future though as I want to experiment with airbrushing more models and trying different things (which is hard to do on a model it took you 2+ hours to convert!). Thanks for visiting! Comments and constructive criticism is appreciated as always! That looks great. It's at the very least table top ready! I am just starting to use GS for more than filling gaps. 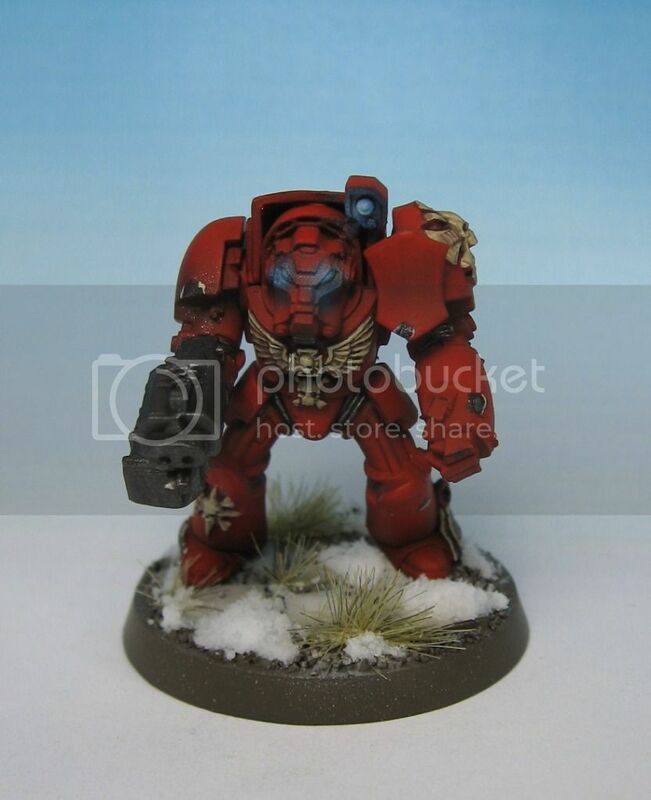 I'm replacing most of the DA icons on my dark vengeance marines with angels of redemption ones. It's so tedious, you must have a lot of patience (and a ton of skill). Thanks Zab. Greenstuff work is a lot of work, especially on whole squads. Good luck!